I have been reading historical fiction and historical mysteries for quite some time. I find it very rare that I stumble across a book that features an event that happened that I don't know anything about. This book was one of the books where I got to learn something about history that I didn't already know a lot about. It was nice to see how events played out with a fresh perspective. 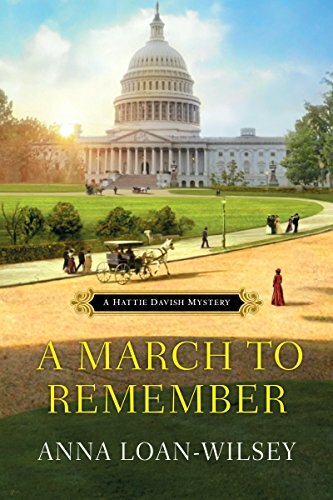 The author focuses on Coxey's march on Washington, D.C. in this latest installment of the Hattie Davish mysteries. According to the author's portrayal and historical note, this was the first "march" on Washington in American history. It was interesting to see how political protests were enacted in the past and compare it to today. I think that it is remarkable how there were so many similar things, yet there are things that are very different. Hattie is in Washington, D.C. during political turmoil. The city is on edge because Coxley and his "army" are marching towards the nation's capital to demand that their complaints be heard. Nevertheless, Hattie has a job to do and she cannot let the events swirling around her affect her livelihood. She is determined to do a good job for Sir Arthur Windam-Greene. She is surrounding by famous politicians and she is exposed to the daily ins and outs of the government. Hattie is out walking early one morning when she witnesses a devastating carriage crash. Hattie watches as both of the passengers land in the carp pond. One resurfaces and runs away and the other passenger is left to die. Hattie frantically tries to save the passenger, but to no avail. Hattie wants to know who the man who left the scene of the accident is and why he would just leave a poor woman to die in such devastating circumstances. Hattie is determined to see justice done at no matter the cost. This is the fifth installment in the smashing Hattie Davish mystery series. I have enjoyed all of the previous books in this series and I enjoyed this one as well. I really connect with Hattie's character and enjoy solving murder mysteries with her. If you haven't discovered this series yet, I highly recommend it. I enjoy the author's portrayal of historical events and how she makes her own story with vivid historical detail and characters the reader can't help but love. 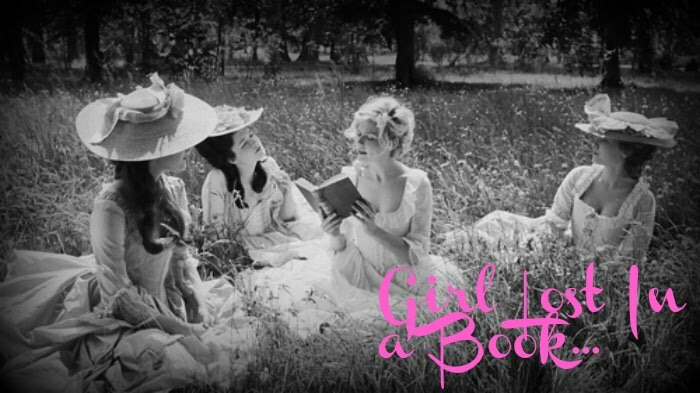 I simply cannot wait until the next book is released. Anna Loan-Wilsey lives in a Victorian farmhouse in the Iowa countryside with her patient husband, inquisitive six year old daughter and her old yellow dog. She was born and raised in Syracuse, NY but has lived in Finland, Canada and Texas. 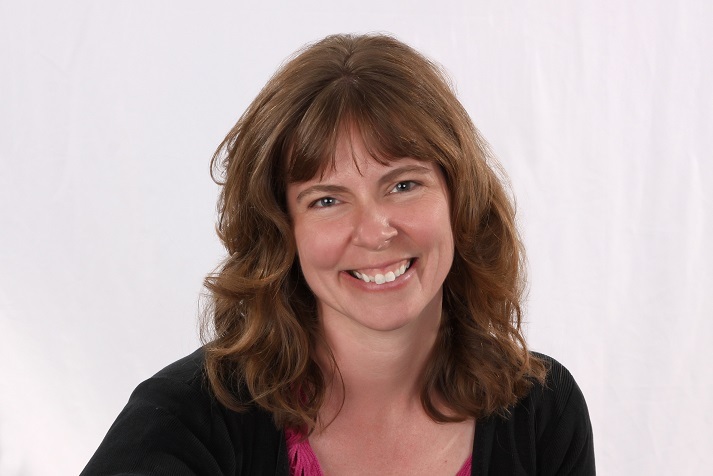 She has a BA in Biology from Wells College in Aurora, NY and a MLIS from McGill University in Montreal. She is a biologist, librarian, information specialist and now with the Hattie Davish Mysteries Series, a novelist. She is a proud member of Sleuths In Time, Mystery Writers of America and Sisters-in-Crime. 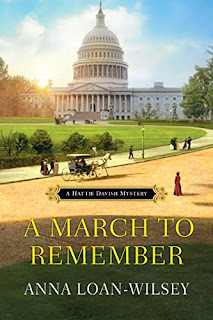 This has been a stop of the A March to Remember blog tour hosted by Great Escapes Virtual Book Tours. Make sure that you stop by the other stops as some of them are hosting giveaways of this book! October 5 – 3 Partners in Shopping, Nana, Mommy, & Sissy, Too! Disclaimer: This book was given to me by the publisher, through Netgalley and Great Escapes Virtual Book Tours, in exchange for my honest review. I reviewed this book without compensation of any kind. All thoughts and opinions are solely mine. I really enjoy reading historical mysteries and this sounds like such a great series. New to me author and series. Like that the story is set in Washington DC.